Birmingham and Shelby county offer a large inventory of homes, like this house on a lake in Chelsea. 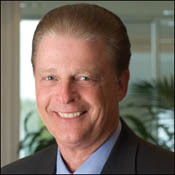 Just how many choices do you have when it comes to finding a home in the Birmingham and Shelby county, Alabama area? The answer is: A lot! Michael and Johnna Mathews felt Gracie and Sister Sue, their two black labrador mixes, deserved better treats than they could find in stores around Birmingham and Shelby county. So, armed with cookie sheets, rolling pin and oven, the McCalla couple decided to try their hand at creating canine treats that are healthy as well as tasty. 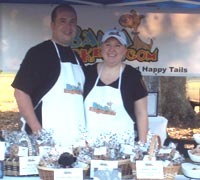 Their efforts led to the April, 2007, birth of Bama Barkery, a business that provides wholesome, homemade treats for dogs. And yep, you can take a bite out of a Pumpkin Paw or any of Bama Barkery’s other treats yourself, because all are made with ingredients safe for human consumption. We caught up with Michael and Johnna during Bark In The Park, a fun event for pet owners held in Alabaster’s Veterans Park October 3rd. Michael shares with us the tale (or should it be tail?!) of how Bama Barkery turned in to a lot more than just treats for Gracie and Sister Sue (who, by the way, are official taste testers for the company). Right now, you can order Bama Barkery products on line, but who knows … it may not be long before you see PB & O’s, Love Me Slenders or some of their other treats in area stores, too. And in case you’re wondering, Fisbo, our five pound spoiled rotten poodle, has given his stamp of approval to Bama Barkery’s treats! Click the player just below to hear Michael — enjoy!